Spring has finally arrived and April has been a busy month for us here at Lana Filippova Interiors. This is a particularly majestic time of year and along with working on some beautiful projects around the UK, we have also been taking time to research new ideas, take inspiration from exhibitions and develop our own brand. Here’s just a few of the things we’ve been up to. Just last week, we visited the international benchmark event for the furnishing and design sectors - ‘Salone del Mobile’ in Milan. A global platform for luxury products with the emphasis on innovation, the show did not disappoint. Hundreds of inspirational products were unveiled for the first time - amongst the highlights were some fabulous new lighting designs and stunning furniture with an emphasis on modern seating which we can’t wait to share with you. The latest sofa designs combine timeless luxury with a contemporary touch. Chrome details finish the look to create a comfortable yet exceptionally stylish centrepiece for any home. 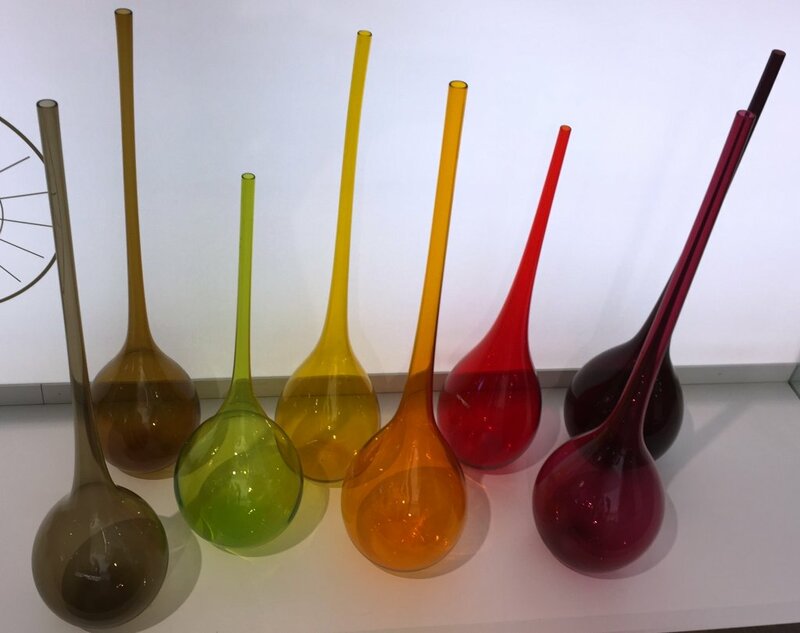 And of course, while in Italy we couldn’t resist ordering stunning Murano creations, totally divine vases in every colour! We’re delighted this month to share with you some very exciting news. Due to continued success, thanks to our wonderful and loyal customers, we are expanding and will shortly be unveiling our new showroom in Bowdon. This delightful space will provide a wonderful showcase for all our interior design concepts, furniture and finishing touches. Work is in full swing on our new home so watch this space for details of our Grand Opening to follow shortly! E-mail us to subscribe to our newsleter.